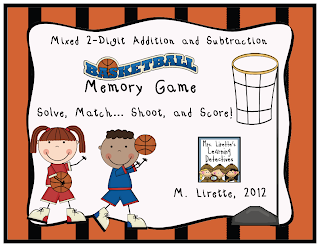 Mrs. Lirette's Learning Detectives: Teacher Appreciation Jackpot! It's nearing the end of the school year and we definitely deserve a break, right? We have all worked so hard this year shaping the minds of little ones. Now it is time for us to show a little appreciation towards each other. What better way to do this than with a little sharing? Why? Because I appreciate you! In fact....there's is HUGE amounts of sharing! 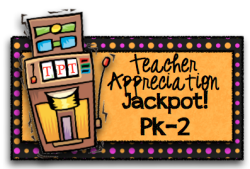 I've teamed up with April from A Modern Teacher, Laura from Corkboard Connections, Adrianne from The Tudor House, and over 140 other bloggers to bring you a teacher appreciation jackpot!! A special thank you to these great bloggers and TpT for hosting this event! This is going to be a blog hop to remember! Also, for the next three days many stores including mine are on sale so be sure to stock up! Can't wait for Sunday! Better make sure all of my school work gets done so I can spend the day hopping! I would love to enter be in on this and give away an item. Is it too late??? Please let me know! I am getting ready for tomorrow:)) I just came over from TBTS. I am your newest follower! I love your blog. Thank you for such a great freebie! Freebie is great. Thanks so much! This is one of the cutest blogs I've seen! I hope you will check mine out- I am just getting started. I am your newest follower! Thanks for sharing you fabulous freebie! I hope you enjoy mine too:) I'm glad I found your blog, and am your newest follower! I thought for sure I was already following you but I guess not! Well I fixed that problem. I am a fellow Jackpot blogger and your newest follower (you're almost to 500!!!!). Thanks for the freebie and have a super sale week. Thanks for the terrific freebie! Thank you so much for the freebie! I just read all the comments above and it looks like you have a ton of new followers today :) I know why! Your blog is FANTASTIC!